So why even bother with blended wines? There are a few reasons why a wine maker may decide to blend grapes including having extra particular grapes and/or to make a perfectly balanced wine. Like us, different wine grapes have their strengths and weaknesses. For example, I may be incredibly good looking but my sense of humor isn’t always there. You could almost apply that to wine grapes, perhaps with different adjectives. The next question may be why they would choose certain percentages. That could be answered simply by two reasons. They are trying to reach certain alcohol level, sugar content, etc. in a wine as well as bring out the strengths in certain grapes to create something like a super-premium wine. Besides, with all of those grapes available you could make some really interesting wines! 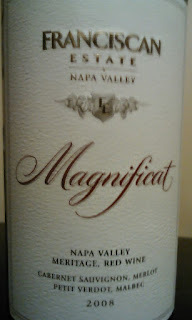 My example wine for the sake of this article is superb and will prove to be an excellent example, Franciscan Estate “Magnificat” 2008 from Napa Valley, California. 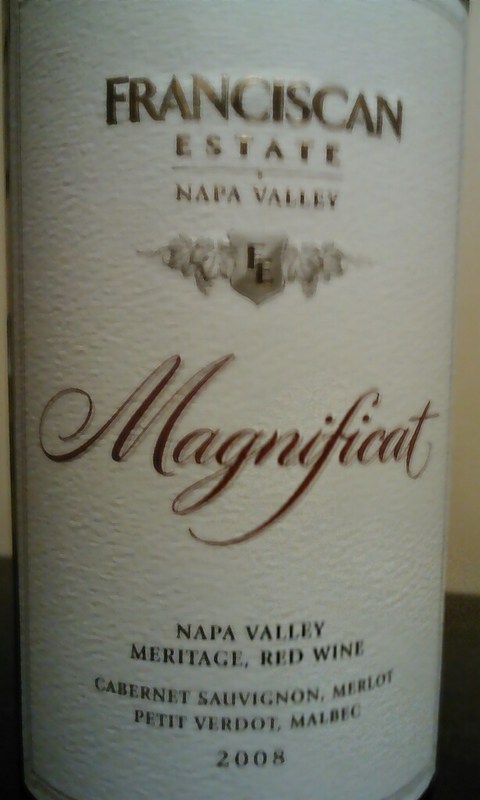 This Meritage (or “Bordeaux style”) is a blend of 69% Cabernet Sauvignon, 23% Merlot, 6% Petit Verdot, and 2% Malbec. Cabernet provides the rich and full structure. Merlot will add some fruit and finesse. Petite Verdot will contribute a backbone of aromas and tannins. Lastly, the Malbec will supplement ink-like colors and plush mouth feel. Merlin is not back there with a wand making it the juice that it is; the skilled Franciscan winemakers chose specific percentages to get the right amount of alcohol, sugar, etc. to provide you a glass of excellence. You may not want to spend $40 - $50 bottle but let me just tell you you’d be making a mistake! This wine has great age-ability but drinks brilliantly now. The color puts you in a trance with a deep, deep ruby. Aromas escape from the glass with notes of rosemary, hazelnut, and plum amongst other goodness. Flavors plow through richly with velvety dark fruits and suggestions of cocoa powder, violets, and perhaps a wee bit of black peppercorn. The tannic finish literally lasts minutes after your sip. In fact, it almost seems as if it does not end.